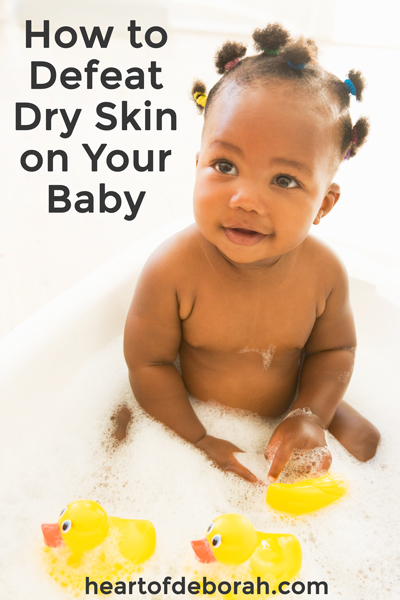 Is your baby prone to dry skin? Especially in the winter when the air is dry and the heat is running many babies get dry, flaky skin. As a new mom I was shocked to find out how often I should be putting lotion on my baby’s skin! So how often should you really be moisturizing? 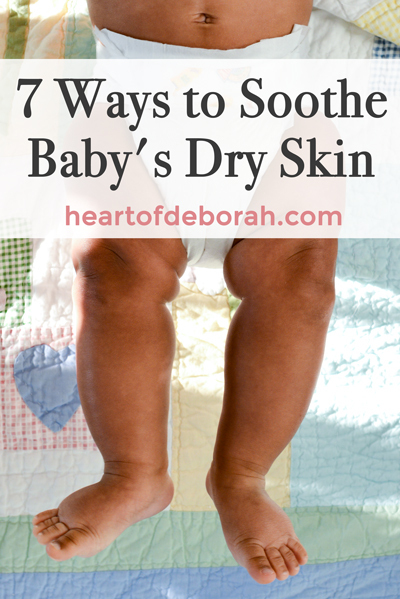 Keep reading for 7 ways to defeat dry skin on your baby. Also check out my latest YouTube video for more details on soothing dry skin! Moisturize, Moisturize, Moisturize! : When my pediatrician told us to put lotion on our daughter’s eczema patches 3-4x a day I was shocked. I didn’t realize how often you needed to moisturize! 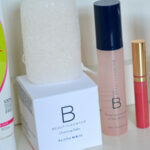 Especially in cooler weather it’s important to apply lotion to your skin to lock in moisture. We love Shea Moisture’s lotion because it smells heavenly and it deeply moisturizes dry skin. Immediately Massage in Lotion After Bath: Lock in moisture right away. Put lotion on within 5 minutes of baby getting out of the bath. Find a Gentle Wash & Shampoo: This is so important. Read the label and ingredient list before you buy! Here are 5 toxic chemicals you should avoid in your baby’s wash.
Be Careful With Wipes: Kids are messy! When it comes to meal time my son is often covered in food by the time he is done eating. I always use a wipe or wet paper towel to clean him off. This can dry out baby’s skin fast. We recently discovered Shea Moisture’s baby face, hand and bum wipes and they are amazing! The wipes are made with a special blend of Shea butter, chamomile and argan oil to clean and soothe skin. Choose your wipes wisely. 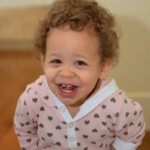 Don’t Give Baby a Bath Every Day: This is one of the biggest mistakes I made as a new parent. I was told baths are a great bedtime routine and I did it every night with our daughter. Soon the dry skin appeared. Babies don’t need a bath every night. You can spot clean after meals if needed. Don’t Use Hot Water in Bath: It’s best to bathe your kids in warm water versus hot water. 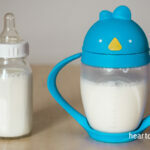 Your baby’s skin may lose natural oils faster when using hot water. Add Moisture to the Air: If you aren’t set on a humidifier (they can grow mold quickly), try adding a bowl of water next to a heat source. The water will slowly evaporate and add moisture to the air. After a bath let the bathroom door open to spread the extra moisture to the rest of the house. How do you keep your baby’s skin smooth and silky? 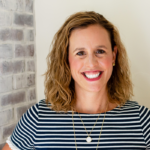 When our daughter first developed eczema as a baby I felt like a failure! But don’t worry, it happens to many babies. The best thing we’ve found is prevention! Moisturize and take these steps before it becomes a problem. I’m so excited to be a #Sheabassador for 2017. I received free product to review, but I was not required to write a post or write a positive review. As always opinions expressed are 100% my own.